Available in DAK or as GRAPHS for those who wish to manually input the designs into their electronic machines, or even knit them by hand. Set of 6 - Helmeted Shields - with plenty of space within the shield for your own graphics. 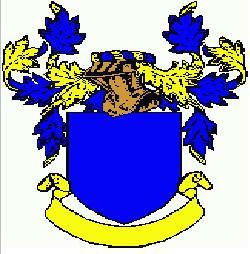 Each shield also has a place for your family name or a motto! 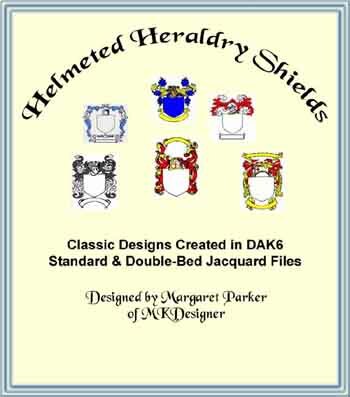 Helmeted Shield designs range in stitch sizes of 120stitchs x 218 rows, to 186 stitches x 242 rows. You will receive a total of 12 .pat files. 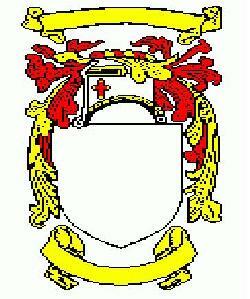 One for each shield in Standard an one in Double Bed Jacquard. Stunning central portion of an afghan, or a hanging banner to display your coat of arms.